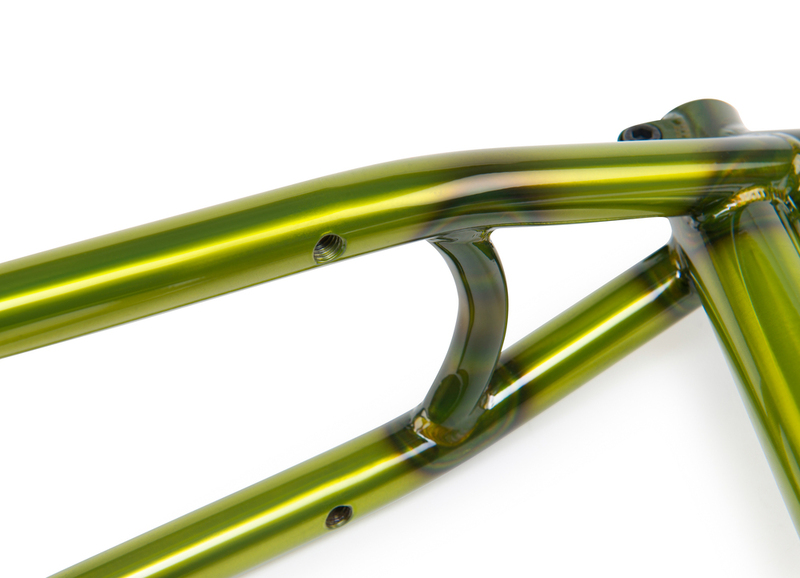 Inventory: The Utopia Frame — WETHEPEOPLE BIKE CO. The Utopia is a frame that's had a bit of a journey. Wethepeople has strong flatland roots, so we wanted to dive back into the flatland game after somewhat of a hiatus and create something new in our range of frames. After the request for a smaller scaled down 20" frame, and seeing how the many flatland riders were riding a more conventional straight-tubed "street" frame, we realised that we could combine the two together. We had to create a frame set that was tough enough for street riding, but has short and responsive geometry so you could have just as much fun in the parking lot too. The Utopia may have small tight angles for flatland, but what really sets it apart from the rest is that it still boasts most of the high-tech features that you will find on our PRO level street frames. The Utopia has clearance for 2.40" tires, now uses a downtube gusset for extra strength, and uses our extruded toptube for a much cleaner style of removable mounts. The 20.3" Utopia (Trans Lime) next to the 20" Utopia (Gloss Black) showing the difference in geometry. After input from team riders Dustyn Alt and Waldemar Fatkin, we made a few changes for 2016. Now in it's third year, the Utopia is now available in two sizes. Whilst for most flatland riders our 20" Utopia frame had all the right angles, Dustyn and Waldemar prefer an even longer, more street orientated setup, so we took the current Utopia frame and gave it a bit of a growth spurt. The Utopia is now available in a longer 20.3” top tube version with proportionally accurate geometry. The 20.3" has a taller 8.25” stand over height and longer 13.2” chain stay. 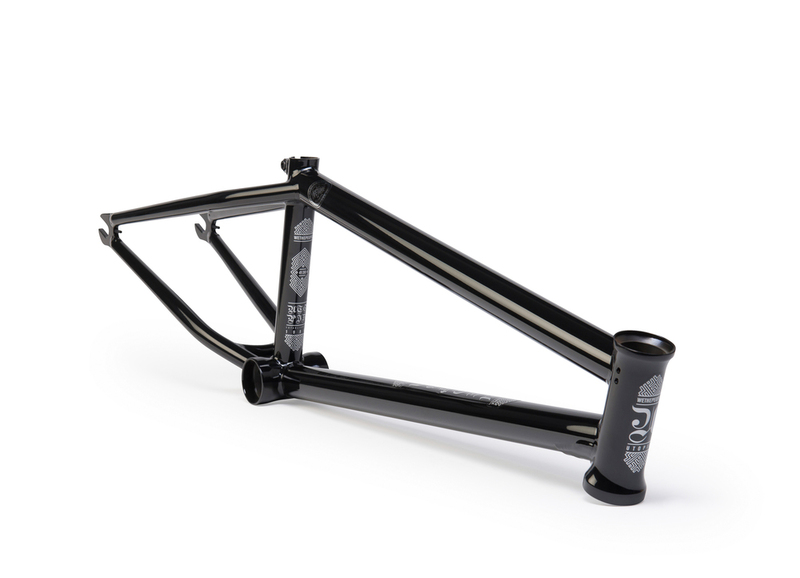 This effectively gives you a choice between the smaller 20" version for pure flatlanders, and a longer 20.3" version for the guys that want something more stable and closer to a regualr street frame but still shorter and lower than most on the market. Integrated chain tensioners on the Utopia help you dial in that rear wheel and keep your chain nice and tight. The shorter toptube and chainstay, paired up with the lower standover height, made the Utopia a big hit with younger riders who just moved up from an 18" bike, but were too small for a full size 20" frame. You'll a lot of the smaller guys in the skatepark riding a Utopia frame and fork because of the shorter wheelbase and the weight savings that a shorter frame has. WTP flow rider Marek Kuhalskis out in Latvia is only 13 years old and rocks a 20" Utopia frame and fork for street riding. THE UTOPIA AND ALL OF OUR AFTERMARKET FRAMES ARE COVERED BY OUR FULL LIFETIME GUARANTEE.